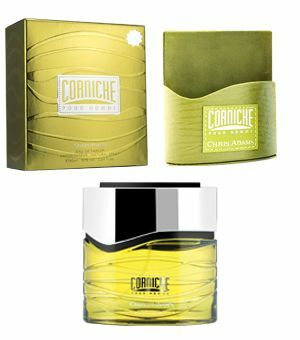 Corniche - Pour Homme (for men) - Eau De Parfum - Vaporisateur - Natural Spray 80ml 2.64fl oz. The fragrance interweaves the fresh notes of bergamot, mandarin and apple with a cool splash of water. The undertones of musk and sandalwood immerse your senses in the calm sensuality of the moonlight. The bottle is of a masculine tinted glass and is held within a textured box of the same shade.